There are few things more exciting in this world than the arrival of a grandchild. The anticipation to see if the baby has your son’s eyes, the enjoyment of picking out all of those adorable baby clothes, and those precious weekends at grandmas! New grandparents should also remember the importance of protecting their grandchild from preventable illnesses by understanding vaccines. Vaccines are not just important for the newborn, but also for you. The medical community is in agreement that vaccines are safe, effective, and do not cause serious harm to children. 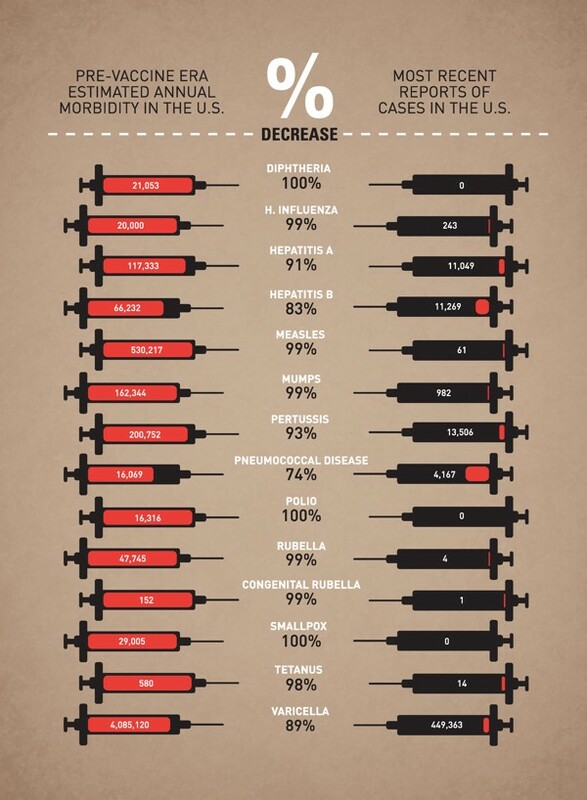 Vaccines are the single most important method to prevent diseases like polio, whooping cough, and the measles. Vaccines go through rigorous testing, and children are far more likely to be harmed by illnesses, like whooping cough and the flu, than by the vaccine itself. The World Health Organization has a useful website debunking myths about vaccines. Do you think whooping cough is an extinct illness from your childhood? Sadly, because people haven’t been vaccinating their kids, illnesses that were once very rare thanks to high vaccination rates are now reappearing. Whooping cough (pertussis) is one illness that is especially dangerous to newborns. The Centers for Disease Control and Prevention (CDC) reported that in 2014, there were 32,971 reported cases of whooping cough, a 15% increase compared to 2013! You may be thinking, “Wait! I was already vaccinated against whooping cough when I was a child.” But the CDC recommends you get a Tdap shot, the vaccine that protects against whooping cough, every 10 years or if you’re 65 or older and in close contact with infants. Don’t forget about your annual flu shot either. Dr. John Beck, Health Alliance vice president and senior medical director, puts the importance of vaccines into perspective. “Most adults were vaccinated as children against pertussis, but protection wears off over time. Babies are able to catch pertussis from family members, including grandparents, who may not know they have it. Grandparents should consider getting a Tdap booster after discussion with their physician,” he said. Don’t forget to take steps to protect the health of you and your grandbaby. Making precious memories with your new grandchild will be more enjoyable with that peace of mind. Chris Maxeiner is a community liaison with Health Alliance. His background is in the fields of healthcare and government programs. His favorite superhero is Batman, and he is an avid Chicago sports fan (Bears, Bulls, and White Sox).